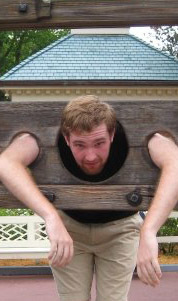 Ike Allen is a contributing writer for SATURDAYS IN THE DARK as well as Head Writer for sports blog CRASHING THE BOX, his irreverent take on the global game of soccer (with the occasional sojourn into American football, boxing, and lacrosse…no…we’re serious…the guy digs lacrosse). If he was a Muppet, he would certainly be Dr. Teeth because we always mysteriously hear funk-music in the air every time he walks into the room. Dushinka Andresen is an actress and recent graduate from TITAN (The International Theater Academy of Norway) in Oslo, Norway. 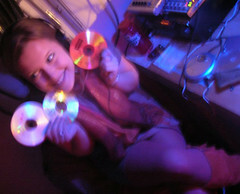 She recently performed in Brendan McCall’s TUNNELS OF LOKI during MUTANT PEEPSHOW WALKS AMONG US! She is a member of Ensemble Free Theater Norway. Cojo Art Juggernaut is an artist and photographer whose work has appeared in MAXIM MAGAZINE and ROLLING STONE. He was a photographer for our inaugural event in November. Cojo has done portraits and commissions for such A-List clientele as: Busta Rhymes, Jay-Z, Ja Rule, Redman, Cam’ron, Lil’ Kim, Usher, Mario, Ashanti, Opie and Anthony, and many others. If he was a Muppet – we think he’d be Sweetums – sans the fur. Check out his website. Dana Berger ia an actress who originated the role of The Girl in WASHING MACHINE by Jason Stuart (Developed by Michael Chamberlin and Jason Stuart) at The Chocolate Factory with FIST IN THE POCKET THEATER and received a NY Innovative Theatre Award Nomination for Outstanding Solo Performance. She performed THE GIRL THAT HEARD FIRE SCREAM during our inaugural SATURDAYS IN THE DARK back in November. If you get a chance, ask her to do her impersonation of her 8th grade librarian. Genius!! Chris Caruso is a contributing writer for SATURDAYS IN THE DARK and continued the ongoing adventures of THE DEVIL’S BACKWASH this May 8th at our last soiree with HOW THE GLEANER FACED SOME HISTORY AND ZOMBIES. He received his B.A. in English from the University of Colorado at Boulder. He is currently pursuing an MFA in Poetry at Rutgers Newark. He also kills time studying DADA and Avant-Garde poetries and poets. Recently it occurred to him that he might be the first human raised by pandas in captivity. Random thoughts on poetry and culture can be found on his blog. His recent poetry has appeared in Matter, Rio Grande Review, as well as several anthologized collections. 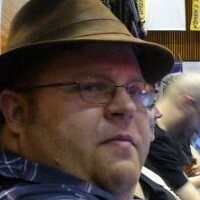 Joshua Cox is a contributing writer for SATURDAYS IN THE DARK. His latest episodic play – RUG SUCKERS – is returning later this year. He has co-written THE CONTINUING ADVENTURES OF THE GLEANER AND THE DEVIL’S BACKWASH this past March and premiered his newest work – DENVER BILL (aka ZOMBIE-LOGUE) – at ZOMBIES DEVOUR HAMILTON HEIGHTS this last May. If he was a Muppet, he would be Fozzy The Bear – except funnier – and slightly more prone to play beer pong. Please send inquiries to casadeuno@aol.com. Thomas DeMarcus plays LONNIE in JOSHUA COX’s RUG SUCKERS and CHARLES in JASON C STUART’s BOUNDED IN A NUTSHELL. He recently completed the National Tour of “The Pajama Game” playing Hines and can certainly help you out with any hotel questions. Upon returning to New York City he, with several long-time friends, formed “Free Spirits Theatre Company”. 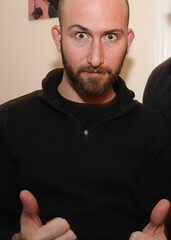 Thomas also is one-third of the team behind the YouTube project: “30/2010”. Thomas Dougherty is a photographer who shot our recent engagement – ZOMBIES DEVOUR HAMILTON HEIGHTS. His photos of the event can be seen here. Find more of his work online. Send inquiries to to tjd001@nickeledge.com. Kristina Eikebråten is a contributing writer for SATURDAYS IN THE DARK – and her newest piece THE SUPER AGENTS! – premiered this past June 19th. She is a member of TITAN TEATERGRUPPE in Oslo, Norway. Nicholas Feynman is a contributing writer for SATURDAYS IN THE DARK as well as various children’s periodicals including PARADING, KID’S JOURNAL, and GREEN GUM. His perennial favorite, “SATAN POSSESSED FLUFFY,” received the prestigious Golden Fuzzy Bear Award for Best Children’s Poem for Adults. He has a reoccurring dream that he’s the Monolith from 2001 – BUT NOT from 2010 – due to licensing agreements. 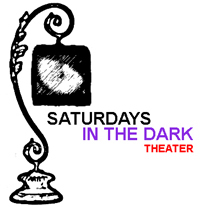 Mette Fjæreide is a contributing writer for SATURDAYS IN THE DARK – and her newest piece DO YOU DARE TO CALL BLOODY MARY – premiered this past June 19th. She is a member of Ensemble Free Theater Norway in Oslo, Norway. Angela Gant is a writer/actor in the NYC area. She received The Paula Vogel Award and The National Student Playwriting Award for Social Darwinism in 2006 at the Kennedy Center ACTF. She also attended the Sundance Theatre Laboratory in July 2006 as the Kennedy Center Grantee. 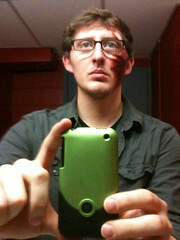 Her newest piece – ZOMBIES AT PLAY – premiered at our ZOMBIES DEVOUR HAMILTON HEIGHTS this past May. in Norway and the U.K. He has attended AMDA-The American Musical & Dramatic Academy in NYC, where he graduated in 2008. Has just finished working in Norway and NYC with the production of TITAN and Gorilla Rep’s production of “A Midsummer Night’s Dream” 2010. He recently performed in Jason C Stuart’s THE WOMAN WHO TENDED TO VANISH and Kristina Eikebråten’s THE SUPER AGENTS! during MUTANT PEEPSHOW WALKS AMONG US! Please send inquiries to jonasgarberg@hotmail.com. Hanne Gregor is an actress and recent graduate from TITAN (The International Theater Academy of Norway) in Oslo, Norway. She recently performed in Jason C Stuart’s THE WOMAN WHO TENDED TO VANISH and Mette Fjæreide’s DO YOU DARE TO CALL BLOODY MARY during MUTANT PEEPSHOW WALKS AMONG US! Hannah Maria Hayes holds an M.A. in Dance Education with an emphasis on American Ballet Theatre pedagogy from New York University. She is certified in all levels of ABT’s National Training Curriculum and has taught dance for nearly a decade in private studios and in higher education. In addition to her ballet background, Hayes has studied flamenco for five years and performs in venues throughout New York City. She is also a freelance writer and editor and her work has been published in DanceTeacher Magazine, the Joyce Theatre’s blog, and several magazines and newspapers in New York and Minnesota. Her newest piece – ZOMBIE PROM DATE (co-developed with Jason C Stuart) – premiered May 8th during ZOMBIES DEVOUR HAMILTON HEIGHTS. If she was a Peanuts character, we think she’d be Snoopy because she can do everything – and looks cute in fighter-pilot goggles. 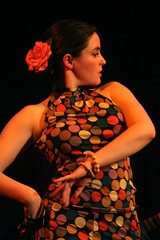 Hannah performs flamenco on a semi-regular basis around the city. For more information, write hannahmariahayes@aol.com. Jamie Hogue is an actress in the New York City area. She performed in various roles during our recent soiree – ZOMBIES DEVOUR HAMILTON HEIGHTS – including a tour-de-force turn in ZOMBIE-LOGUE a.k.a. DENVER BILL by Joshua Cox. Michelle Kuchuk is a director in the NYC area. Recently co-directed Nicu’s Spoon World Premiere of Mark Abraham’s musical 23 COINS. She directed the performance of BOUNDED IN A NUTSHELL this past March. Ashley Kuske performs in our upcoming MUTANT PEEPSHOW as the title character of THE WOMAN WHO TENDED TO VANISH this October 23rd. She works with the UPRIGHT CITIZENS BRIGADE Improv 201 and has recently performed with COFFEE BLACK PRODUCTIONS. Nick Luckenbaugh is an actor in the NYC area. He performed in BOUNDED IN A NUTSHELL by Jason C Stuart and WHEAT WILL WIN THE WAR (which he gallantly took on last minute – gleefully bashing bunnies…it’s that kind of piece) by Joshua Cox during our workshop evening Building a NUTSHELL. And before you ask – NO – we weren’t the ones who put him into the stockades. You’ll need to ask him about that yourself. NYC roles have included SMILE, CANDIDE, and KISS OF THE SPIDER WOMAN. Brendan McCall is a contributing writer for SATURDAYS IN THE DARK and his newest piece – TUNNELS OF LOKI – premiered this past June 19th. Brendan is a director, choreographer, and teacher whose work has been presented internationally for over 15 years. His work has been hailed as ‘eloquent’ (The New York Times), ‘mysterious [and] emotional’ (Gay City News), and ‘shaping a powerful physical language that is intriguing, terrifying, and thrilling’ (NYTheatre.com). He is the founding member of Ensemble Free Theater Norway. Amanda Pupo-Mayo will be performing in THE WOMAN WHO TENDED TO VANISH as part of our upcoming MUTANT PEEPSHOW on October 23rd. She’s a recent graduate of NYU and is a working musical theater actress in the New York area (although she harbors a secret dream of some day being the next great angst-ridden-chick rocker…wait…damn…we just blew the secret…sorry Amanda…). Find her online at amandapmayo.com. 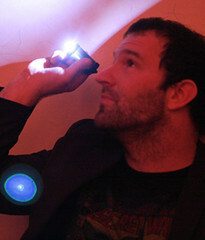 Matthew Resnick is a Contributing Blogger for SATURDAYS IN THE DARK – and is DJ REZ at THOR RADIO. But – secretly – he also moonlights as a Computer Science teacher in New York. Josh Speers is an actor and recent graduate from TITAN (The International Theater Academy of Norway) in Oslo, Norway. He recently performed in Mette Fjæreide’s DO YOU DARE TO CALL BLOODY MARY and Kristina Eikebråten’s THE SUPER AGENTS! during MUTANT PEEPSHOW WALKS AMONG US! Kelly Strandemo is a former Southern Belle turned New York actor, singer and writer. She has performed in New York City in such venues as the Ensemble Studio Theatre, The Lion at Theatre Row, the Bouwerie Lane and New World Stages. Dan Shaw of CT’s Rural Observer called her “the definition of the Broadway ingenue.” She performs in JASON C STUART’s BOUNDED IN A NUTSHELL. She’s smart and hot and quick-witted. We like to think of her as the Lost Gilmore Girl. Along with Thomas DeMarcus and Joseph Beuerlein, Kelly is currently writing and starring in the web-series “30/2010,” and she can further be found on the web at www.kellystrandemo.com. Ian Tabatchnick is a photographer. His photos of our latest venture MUTANT PEEPSHOW can be found HERE. Ian has been a part of the New York theatrical community for 18 years, having worked on (and off) stage with the National Shakespeare Co., NYTW, LaMama, Chashama, HERE, 3LD, Feed the Herd, The Culture Project, The Village Gate, The Public/NYSF, Roundabout, and the NYU Skirball Center. Yes. He always looks that enthusiastically crazed. 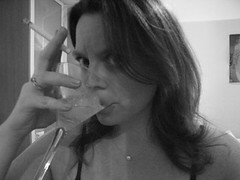 To see headshot and production photos, go to www.flickr.com/itabatch. Julie Walsh is a contributing writer and has helped co-author episodes of THE CONTINUING ADVENTURES OF THE GLEANER AND THE DEVIL’S BACKWASH. 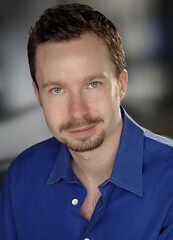 Collin Ware is a New York based actor who read for the inaugural SATURDAYS IN THE DARK performance this last November. He played a maniacal, possessed mechanic (SHUNNED HIGHWAY) and a parricidal, possessed musician (DOGHOUSE). Collin is an actor that keeps letting us possess him by demons time and time again. We think he secretly digs it. 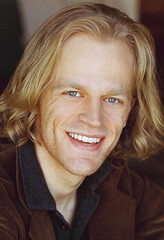 Originally from Texas, Collin’s favorite roles include Thomas Jefferson in 1776, Estete in The Royal Hunt of the Sun (both with Texas Shakespeare Festival), Speed in The Two Gentlemen of Verona, Lord Edgard in Thieves’ Carnival (both at Circle in the Square), and Apemantus in Timon of Athens (Theatre Row). Collin is a founding member of improv troupes Hard Out and the Red Tie Mafia, at Gotham Comedy Club. He recently finished shooting a short film, Cold and Dark, with 20/20 Pictures. He is a graduate of Circle in the Square Theatre School. Please send inquiries to jonesycash@gmail.com. Mallory Westfall is currently a senior completing her BFA in Film and Television at NYU’s Tisch School of the Arts. She’s written a number of short films, original television specs and short plays during her time at Tisch. In her sophomore year she was nominated for The Oliver Stone Screenwriting Award for her script, Begotten. In the fall of 2008, Mallory was selected to study television production in London at the British Broadcasting Corporation where she discovered her passion for television writing. She is inspired by such television programs as THE X-FILES, THE TWILIGHT ZONE and TWIN PEAKS and is very excited to be a part of Saturdays in the Dark. Her newest piece – VENGIES – premiered on May 8th at our last soiree. WARNING: She’s not nearly as sweet as she seems. Please send inquiries to maw409@gmail.com and visit her on the web at MalloryWestfall.com Photo by Caroline Sinders. Kirsten Wolf is our wonderful caterer and lovely Artistic Designer. She is a fundamental element of what makes our soirees so successful. She’s a peach – and if she was a PEANUTS character, we think she’d be Linus because she’s always got some of the best insight in the room; and she’ll ALWAYS remind us of the true meaning of Christmas. Her non-theatrical alter-ego can be found at Wolflit.com.